In 1892 the Alexandra Hospital for Women and Children was built at the corner of 7th and Pine in Vancouver. At the time that area was well out of town, wild and undeveloped, and the presence of marauding bears and other animals quickly made it an unsuitable place for pregnant women. The trustees decided however, that it was a perfectly appropriate place for orphaned children and in 1894 it was renamed the the Alexandra Non-Sectarian Orphanage and Home for Children. By 1914 there were 80 children in residence and 7th & Pine was no longer in the bush. 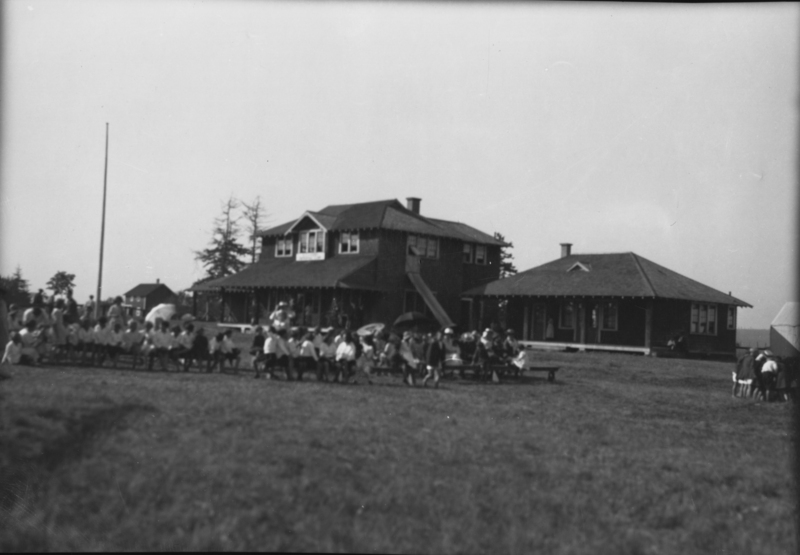 The children needed relief from the dust, heat and dirt of summer in the city and travelled by train to Crescent Beach for a month at camp. This summer in the sand was so successful and so beneficial to the children that the Board of Trustees decided to acquire a permanent site, and in the next two years, Camp Alexandra was established on our current site, which, before construction of the dykes, was waterfront property. During and after the war, single mothers and their children became the dominant element at camp, outnumbering the orphanage children ten to one. It was an ideal spot for disadvantaged mothers and orphaned children to rest, relax and gain health and strength. Due to overcrowding at camp, in 1918 two more buildings were added to the site. 270 mothers and children came in addition to 80 orphanage children. In 1921, the Rec Hall (Alexandra Hall) was added to provide a camp hospital downstairs, and staff accommodation upstairs. During the Depression the role of the Orphanage began to change and funds for camp, which had previously been raised by public subscription, were scarce. It cost only $7 to send a mother and her child to camp for two weeks but the city's wealthy patrons no longer had deep pockets. 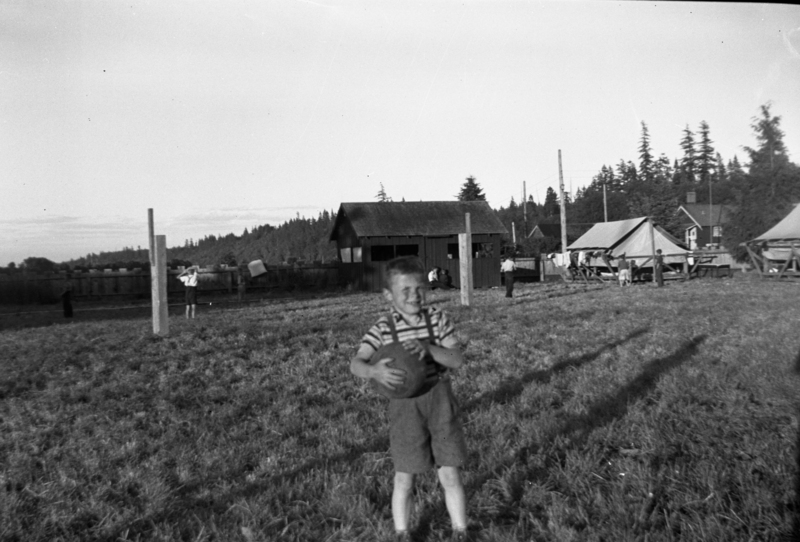 In 1930, in order to continue to provide summer camps, the Orphanage joined the Vancouver Welfare Federation, the predecessor of the current day United Way, to assist with funding. After the Depression and the war years came groups of people needing much more than fresh air, sunshine and charity. Symbolic of this, Alexandra Fresh Air Camp became Camp Alexandra. Our summer camping tradition has continued uninterrupted since 1916.